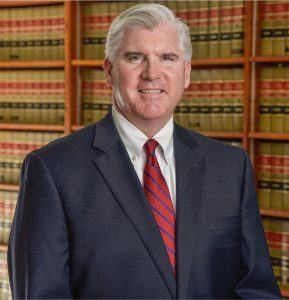 Francis J. Brennan (Frank) practices in the areas of bankruptcy and business reorganizations, commercial real estate, business law and commercial litigation. He has successfully represented several substantial businesses in completing Chapter 11 reorganizations, and has argued appeals before the Bankruptcy Appellate Panel for the U.S. Court of Appeals for the Second Circuit, and appellate courts of the State of New York. Frank has also represented secured lenders in commercial loan workouts. Successful reorganization of a regional printing company. Representation of secured lenders in preference litigation in the Bankruptcy Courts of Maryland and Delaware. Representation of lenders in non-dischargeability litigation in Bankruptcy Courts for the Northern and Southern Districts of New York. Representation of a secured lender in a Delaware bankruptcy proceeding involving a national owner/operator of healthcare facilities. Representation of a secured lender in a deed-in-lieu and resale transaction. Representation of a nursing home in its Chapter 11 proceeding, culminating in a successful sale of the business operation. Representation of an internet-based manufacturer and distributor of premium prepared frozen meals in its Chapter 11 liquidation proceeding. Representation of a HVAC contractor in connection with its Chapter 11 reorganization. Representation of an independent pharmacy in connection with its Chapter 11 proceeding and sale of its assets to a national retail pharmacy. Representation of several independent and franchised hotels in connection with their Chapter 11 reorganizations and sales. Representation of a custom bicycle manufacturing business in connection with a negotiated loan work-out with its secured lender and the successful sale of the business’s assets to an investment group. Frank is a past President of the Capital Region Bankruptcy Bar Association, has lectured on collection and bankruptcy matters, and was a member of the Local Rules Review Committee for the United States Bankruptcy Court for the Northern District of New York. He has been recognized in Super Lawyers – Upstate Edition -2017-2018, 2011-2012, Bankruptcy and Creditors’ Rights and Super Lawyers – Corporate Counsel Edition – July/August 2010 – Bankruptcy and Creditors Rights.